(Selma, Texas - Tuesday, August 11, 2015) - C. Reid McLellan, PhD., national equine educator, will be conducting a Trainers' Exam Prep Class at Retama Park in Selma, Texas August 14-16 and a class in Lexington, Kentucky August 28-30. McLellan, Executive Director of the Groom Elite Program, was a participant on the National Trainers' Exam committee and has been teaching rules of racing to prospective trainers since 1985. The Trainers' Exam Prep Class provides information about the Rules of Racing to individuals considering taking a state licensing exam as well as owners or horseplayers that simply want to know more about the Rules of Racing as they pertain to the training and racing of racehorses. This class includes discussion of information covered in both the barn and written tests. Rules differ from state to state and this class discusses those important differences. Drug rules and regulations are rapidly changing and updated changes are discussed in the Veterinary rules section. Registration fee for the Retama Park class is $299 if paid before class starts, $349 at the door if space is available. 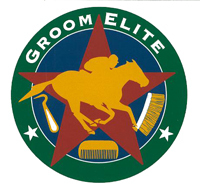 The extended dates for the early registration fee deadline for the Texas class is supported by contributions to the Groom Elite program by the Texas Horse Racing Hall of Fame. 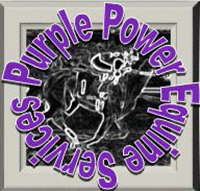 For more information, to see a class outline or to register for one of these Trainers' Exam Prep Classes, go to www.groomelite.com or www.purplepowerracing.com and select the link for your preferred class. Dr. McLellan is available by cell phone at 859-321-4377, Twitter @creidmac or email rmclellan@groomelite.com.